As stated before on these pages, the 2nd Gurkha Rifle Regiment has been central to the history of the overall Gurkha story and their time within the British Army. The Queen's Truncheon is an integral and crucial part of the regiment's allegiance to the crown and was used in the attestation of new Gurkha recruits as part of their passing out parade. In 1953 a detachment from the regiment took the Truncheon back to Britain for the Coronation of Queen Elizabeth II. Her majesty had wished to view and indeed touch the Truncheon as a way of continuing the tradition of close Royal involvement with the Gurkha Regiments. A small party of Gurkha Officers led by Major D.A. Spain and accompanied by Major (QGO) Bahasur Rana, Captain (QGO) Bharti Gurung, Lieutenant (QGO) Kharakbahadur Ghale and Lieutenant (QGO) Kharakbahadur Thapa, presented the Truncheon to the Queen at Buckingham Palace. It was the Duke of Edinburgh's suggestion at this presentation that a new inscription should be placed on the Truncheon recording it's use in the Coronation Procession for Her Majesty Queen Elizabeth II. Two silver collars were placed on the uppermost section of the staff and the inscription was written in lettering similar to the original dedication of 1863. 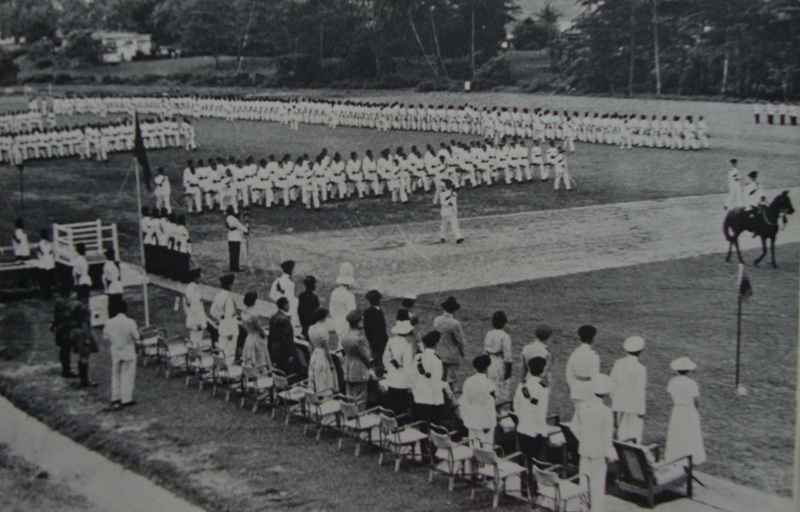 The Regiment marching past the Queen's Truncheon in Singapore in September 1957, on the centenary of the Battle of Delhi. In the early part of its history the Regiment was a 'line' regiment and carried two colours. For its gallantry at the Siege of Delhi in 1857, when it held the Main Picquet at Hindoo Rao's House, a key position on The Ridge overlooking Delhi throughout the siege, and took part in the assault on Delhi, the Regiment was granted in 1858 the honour of carrying a Third Honorary Colour, on which the word 'Delhi' was inscribed in English, Hindi and Persian. Because of its close association with the 60th Rifles at Delhi, in 1858 the Regiment became a Rifle Regiment. It was the custom, because of their swift and concealed method of warfare, for rifle regiments not to carry Colours, therefore in 1863 the 2nd Goorkhas ceased to exercise the privilege of carrying them. However, in recognition of their glorious achievements at Delhi, Her Majesty Queen Victoria caused a Truncheon to be presented to the Regiment in place of the Honorary Colour. This Truncheon was quite unique in the Armies of the British Empire and Commonwealth, and remains so in the British Army today. The Truncheon was devised by Colonel Charles Reid, one of Queen Victoria's Aides-de-Camp and commander of the Regiment at Delhi. It was presented in 1863 on behalf of the Queen by Lord Strathnairn, the Commander-in-Chief in India, at a special parade of all troops in the large garrison of Lahore, where it was honoured with a Royal Salute on presentation. The Truncheon is a typical piece of workmanship of the Victorian age. It stands just under six feet high, is chiefly made of bronze, and is surmounted by the Royal Crown in silver supported by three Gurkha Riflemen in bronze. On the ring of silver below the the figures are inscribed the words Main Picquet, Hindoo Rao's House, Delhi 1857. Below this ring is a representation in bronze of one of the minarets on the Delhi Gate of the Palace of the Moghuls, and in the minaret hang two silver crossed kukris, the national weapon of the Gurkha. Below this again is another silver ring on which is inscribed on three sides “Sirmoor Rifles." This was the title of the Regiment at the time, indicating the place of the raising of the Regiment in 1815, and the title it bore up to 1994 when it was amalgamated with the 6th, 7th, and 10th Gurkhas to form The Royal Gurkha Rifles. On a third ring, just above the upper end of the staff, the words “Main Picquet, Hindoo Rao's House, Delhi 1857” are again inscribed, this time in Nagri script. The Truncheon was made in five pieces, so that it could be taken apart and carried in battle in the knapsacks of five different Gurkha soldiers. When, in 1858, the Third Colour was presented, an extra Jemadar (a junior native officer in the old Indian Army) was authorised to carry it, and when the Truncheon replaced the Colour this extra officer was allowed to remain on the establishment. During the visit to India of His Majesty King Edward VII, then Prince of Wales, in 1876, at a Review held in Delhi the Truncheon was given precedence over all other Colours. It was impossible to convey the importance this Truncheon played in the Regiment, and in what reverence it was held by all members. On the two Regimental Days, the anniversaries of the assault on Delhi, 14th September 1857, and the crossing of the Tigris at Shumran on 23rd February 1917, the Truncheon was placed in position outside the Regimental Quarter Guard and every individual, from Commanding Officer to the last joined Rifleman, saluted it during the course of the day without fail. Amongst the men of the Regiment it was referred to as the “Nishani Mai” (loosely translated as the Symbol of the Great Mother) an allusion to the great Queen who presented it. The recruits of the Regiment were sworn in on the Queen's Truncheon when they joined the Regiment and became Riflemen. "The Queen's Truncheon was carried in procession at Her Majesty's Coronation, 2nd June 1953. Inscribed by order of Her Majesty Queen Elizabeth II." Since then each time the Queen's Truncheon has been presented to the Monarch the occasion has been marked with a new inscribed silver band affixed to the staff. On 24th June 1994, after a Thanksgiving Service in the RMA Sandhurst Chapel for the 179 years of service of the Regiment, and in the presence of HRH The Prince of Wales, the Queen's Truncheon was placed into a glass case in the Indian Army Room in Old College at the RMA Sandhurst for safe keeping, pending a decision for it to be adopted by the new regiment. On Monday 28th April 1997 the Queen's Truncheon was taken back into service by The Royal Gurkha Rifles at a ceremony at RMA Sandhurst in the presence of HRH The Prince of Wales. Although the rank of Jemadar is no longer in use in the British Army, the establishment of an extra officer to carry the Queen's Truncheon is still on the strength of the new regiment and the title 'Truncheon Jemadar' has been retained. Attesting new Gurkha recruits, still viewed as an important peacetime ceremonial. "For some reason best known to the Regiment, the request by 3/2 Gurkha for a visit of the 'Truncheon' was refused. Thus, many reinforcements from other Gurkha regiments could not be sworn-in as members of the 2nd. This was extremely important to the battalion and had an ongoing effect on morale as the operation unfolded." Copyright © Steve Fogden and stated contributors 2012.